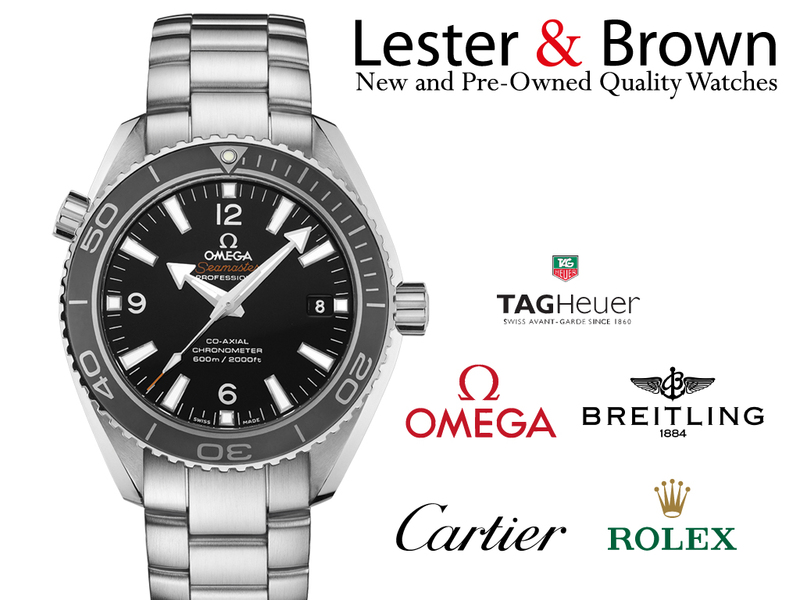 Lester and Brown jewellers is a name synonymous with jewellery and jewellery design but did you know we also sell quality watches. Our range on New and Pre-owned watches gives you luxury at a more affordable price, our collection of sought-after new and used watches allows you to select your aspirational watch from a range of watch brands that we don’t normally stock. Our New and Pre-Owned but never worn watches come with the watch brands original box and guarantee whilst our pre-owned watches are expertly serviced and restored to pristine condition and come with a 12 month guarantee. Can’t see your dream watch? Don’t worry, we can source most prestige watches, simply let us know which watch you are looking for and we will do the rest.